"Each generation has its own rendezvous with the land, for despite our fee titles and claims of ownership, we are all brief tenants on this planet....We can misuse the the land and diminish the usefulness of resources, or we can create a world in which physical affluence and affluence of the spirit go hand in hand." Stewart Udall, The Quiet Crisis, p. vii (1963). 1878, John Wesley Powell publishes his Report on the Arid Regions having traveresed the Colorado River through the Grand Canyon for a second time as the first Anglo to make the journey. 1896, John Muir and Gifford Pinchot, as part of the field exposure work they did as participants in the National Forestry Commission, spend the evening camping on the rim of the "prodigious" canyon. 1908, Theodore Roosevelt, President, sets aside the Grand Canyon as a National Monument under the Antiquities Act, of 1906, as an Executive order to preserve the geology and wildlife of the canyon. 1924, Aldo Leopold uses the example of the starvation of deer and their overgrazing of browse vegetation on the Kaibab plateau forest (North Rim of the Grand Canyon) as an example of failed wildlife management practices due to predator elimination. 1928, Construction begins on Hoover Dam in Boulder Canyon to create Lake Meade miles below the Grand Canyon diviing Arizona from Nevada. 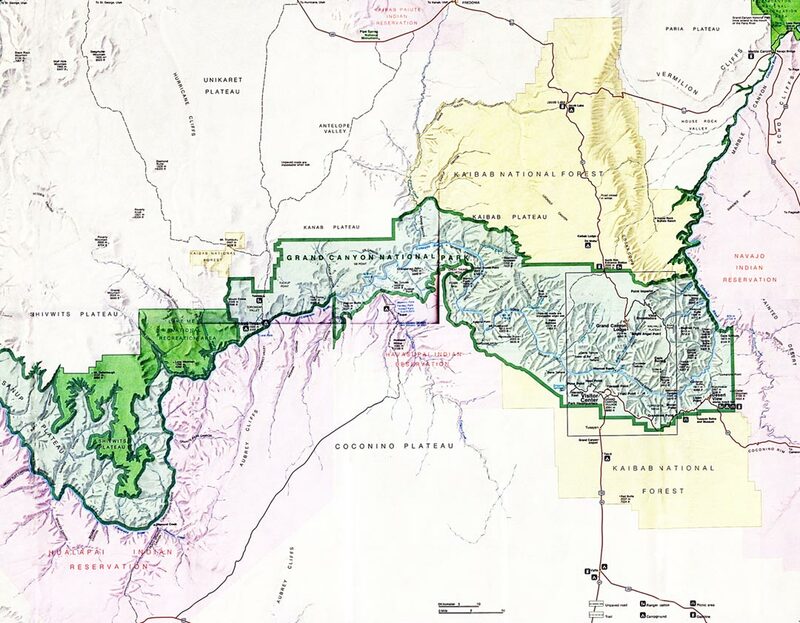 1966, Proposal to build two Dams in Marble Canyon and on the lower Grand Canyon draws public attention and creates a controversy over the conservation of the Colorado River. 1968, The National Wild and Scenic Rivers Act passed to protect stretches of remote, pristine and beautiful areas of rivers. 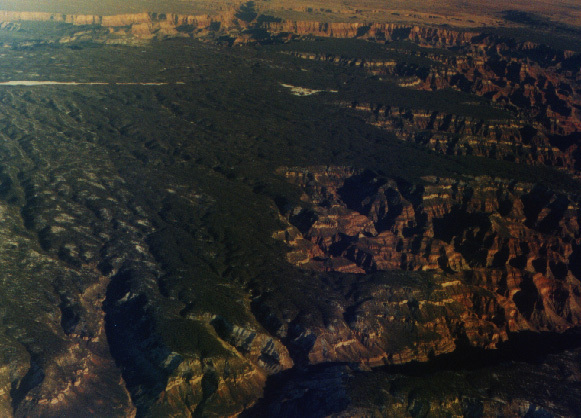 2000, A fifteen thousand acre "Outlet" fire forced the evacuation of the North Rim of the Grand Canyon revealing the shortcomings of fire exclusion, suppression and controlled burning as viable ecological management practices. Last Updated on October 10, 2007.